Think Logistics is an initiative which aims to educate and inform young people about the opportunities and exciting career development prospects available in the logistics and supply chain sector. The initiative is led by companies active in the industry who visit with schools, colleges and attend events targeted at 16 – 19 year olds to give them an overview of what logistics companies do on a day to day basis how it affects them and how they can take their first steps towards working in this fast paced and dynamic sector. 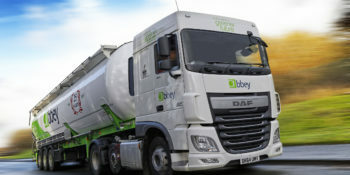 The ‘Think Logistics’ project was started in 2013 by Abbey Logistics Group Chief Executive Steve Granite. The project was first conceived following a visit he made to a local school in Liverpool to find two apprentices to join Abbey. During the visit Steve gave a presentation on the logistics sector and Abbey to 40 students, of which, only one had considered a career in our industry. At the end of the session the students were asked how many would now consider a career in logistics, and 48 from 50 said they would. This experience demonstrated that it wasn’t a case that Logistics is not a desirable career choice, it just simply wasn’t on the menu. Steve joined Abbey Logistics at the age of 15 from All Saints RC High School in Kirkby, Merseyside; beginning his career as an apprentice and working in a number of roles across the business. He was appointed Managing Director in 2009 at the age of just 29. Through his own experience, Steve knew first-hand the opportunities that were available in the industry. He was concerned by the shortage of young people joining the Logisitcs industry and surprised to learn that many didn’t know anything about what logistics companies did or the wealth of opportunities available, from drivers to IT professionals to accountants to marketers, the logistics industry has it all, but young people weren’t being told about it. It was clear that if nothing was done, the industry would suffer in the future unless this situation changed. Steve’s aim was to help bridge the gap between young people who are looking to get into a rewarding career, and logistics companies looking for young people to join their organisations. From its launch in 2013, Think Logistics has been embraced throughout the industry. The initiative has been supported by a range of companies who formed a steering group to manage the project and they have invested a lot of time to make Think Logistics a success. 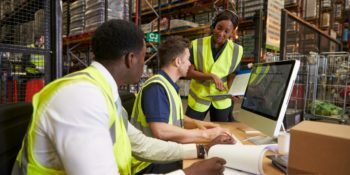 Since the steering group launched, many more companies have joined to provide their support and Think Logistics is now partnered with Career Ready, a UK wide charity linking employers with schools and colleges to open up the world of work to young people. At the beginning of 2017 more than 40 companies are involved in the initiative and the project goes from strength to strength and the project is now delivering workshops up and down the country to more than 1,000 students each year. To find out more, please visit the Think Logistics website www.think-logistics.co.uk. We are always happy to talk about the positive impact we have had on many students since 2013, our plans for the future, or if you’d like to discuss how you can get involved. New Think Build project for construction industry launched based on TL model of success.